The DARC Senior Women’s Squad is looking to expand after a successful 2016-17 racing season, and we are happy to accept novice and experienced rowers – get in touch via email (women’s captain Alison Danforth – womens-vc@durham-arc.org.uk) if you are interested in joining us for the 2017-18 season. We accept rowers throughout the year, and people new to the sport (those who completed a Learn to Row Course) in July through to September. 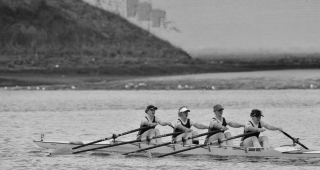 We ask all rowers to commit to four training sessions a week, which may increase during regatta season. DARC is lucky to train all year on the River Wear, with additional strength and conditioning sessions in our indoor gym; a typical week’s training consists of four coached water sessions and two additional gym sessions. Occasionally we take our boats to the River Tyne where we have a bigger stretch of water to put some hard training to get ready for the long Head races. 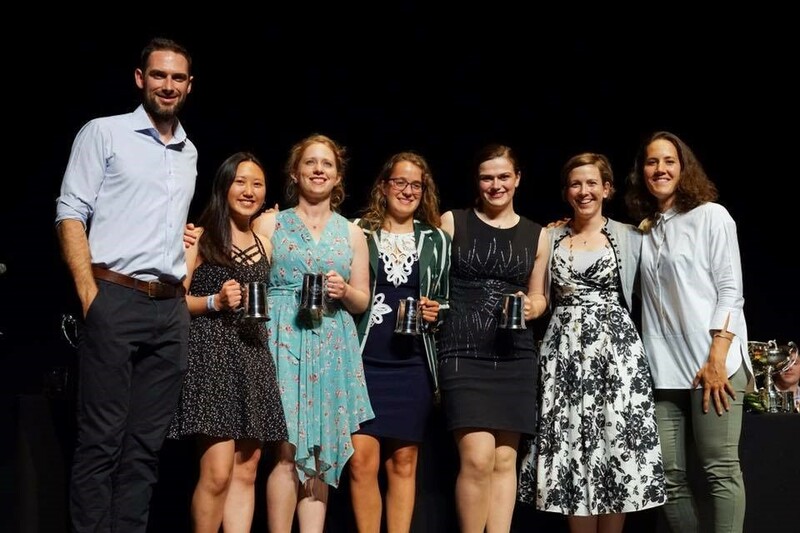 Outside of the northeast, we also sent a Women’s Elite 4x- to the Metropolitan Regatta in 2017 and to Women’s Henley in 2016, as well as Women’s VIII to Women’s Head of the River in 2015. 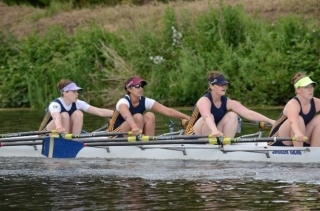 For 2017-18 we are training for the Autumn LDS (Long Distance Scull) Series and local head races along with Fours Head of the River in London, followed by a regatta season commencing in March with York Spring Regatta through to Durham Regatta in June. We are also aiming towards sending crews to southern events like Metropolitan, Women’s Henley, and WEHoRR. DARC Senior Women row hard and train hard, but we are also known for our love of brunches, gin, and nights on the town. We can often be found unwinding in cafes after early morning workouts, pubs after long days at races, or nightclubs in Newcastle given any excuse!